We are a renowned Removalist company in Australia and are an expert Interstate Removalist. Let us know if you are looking for an interstate removalist or an interstate moving service. We provide affordable yet professional moving services for all your furniture and belongings. We take utmost care of your furniture, be it home or office and deliver them to your new location. Hiring our services will leave you with no concern and you can move to your new place with excitement. If you are looking for interstate removals in Australia, we would be the ideal choice. 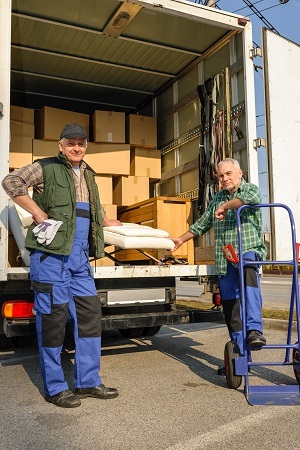 Our removalists are experts and are capable of handling the job efficiently. While moving interstate sounds interesting, it comes with some anxieties and troubles. You need to move with all your furniture, car and bike. How prepared are you? We feel proud to let you know that we are years into the industry and a specialist interstate removalist. No matter which state you are moving to in Australia, you can seek our services! Just call us and our staff will take all initiative for an efficient removal and moving service for you. With no experience it is difficult to handle everything all alone. Our team knows what needs to be done while relocating and will assist you through the entire process. We are the most trusted removalists in Australia and cater to hundreds and thousands of clients each year. We plan and organize every move with top concern for your convenience. Trust our removalist services and feel free. We put in our best efforts to make the move most convenient for you. We remove, pack, backload your home/ office furniture and move them to your new place most professionally. We have a large network throughout Australia and so it doesn't matter whether you move to your bordering state or to a distant one, we can offer the same quality of service. When you need to move interstate, you have this headache of packing all your belongings in different boxes. You will have huge furniture and small gadgets. Moreover the delicate ones like electronic items and small components require extra care but you absolutely have no idea how to go about this! Expertise and professionalism matter!! We are highly experienced and can remove your furniture with ease. We take all care to pack your goods so that they are safe and secure. Enjoy the time with your family while we do all the removals and packing for you, because packing would be a terrible thing to do if you have no experience with it. We then backload these goods on to our truck and they are ready for the most reliable and safe transit. We have our trucks insured, so keep your worries away. If you need storage services, we offer them as well at competitive rates. Settle down at your new place and let us know when you want your furniture to be delivered, we will be there! Our moving services are the most trustworthy you can see in the industry. We are timely and cost- effective too. It is not one state or city we are operating in. Our network is spread far and wide, throughout the country and you can always have high expectations on us. We strive to provide the best service always and assure to not disappoint you. We want to see you happy and enjoy the thrill and fun of the new place. Call us for interstate removals and stay calm! When it comes to moving home furniture or moving offices. A company that provides removalist and moving services is the ideal way to get your furniture moved from one location to another. This is because removalists and movers understand the technicalities of moving. It will also save you time and dollars getting a removalist or mover to handle your goods between locations. Simply because they have the experience to get the move done with zero to minimal damages. 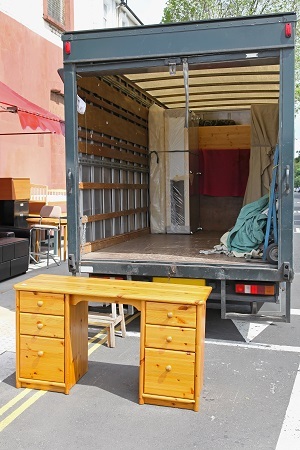 DLM Removals & Storage provide interstate removalist and moving services. Having operated for over two decades. This company is not only the best choice for moving interstate but provide a range of other removalist and moving services including but not limited to packing, dismantling and assembling your home or office furniture but will also supply the materials needed to move. DLM Removals & Storage will provide extensive and complete local removalist and moving services around Melbourne and Brisbane. Including surrounding suburbs and of both Brisbane and Melbourne. DLM Removals & Storage have depots located in Brisbane and Melbourne which make our local removalist and moving services affordable and competitive for anyone wanting to move home or office furniture locally around Brisbane Greater region and Melbourne greater region.